Siemens has developed a comprehensive concept for energy systems worldwide – the first such concept that takes into account and brings together not only technology but also the areas of regulation and social engagement. 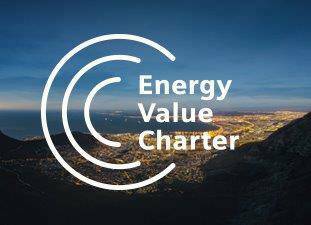 The Energy Value Charter aims to create customized solutions that will empower countries to make their energy systems fit for the future. The concept encompasses suggestions for implementing sustainable power-generation technologies, together with recommendations on how legal frameworks must be adapted to ensure that the full potential of these technologies can be tapped. In addition, the concept specifies options for promoting social engagement, such as work-study programs, as well as for refinancing infrastructure while simultaneously reducing greenhouse gas emissions. Siemens presented the concept at the 2019 Energy Transition Dialogue in Berlin, in the presence of energy ministers from a range of countries. Siemens developed the concept to create a global framework for energy solutions for its businesses. With its Energy Value Charter, the company wants to enter into a dialogue with governments in order to shape energy systems in such a way that they provide the basis for economic growth, social engagement and sustainable development. Joe Kaeser on LinkedIn: "A Blueprint for a Successful Energy Transition"